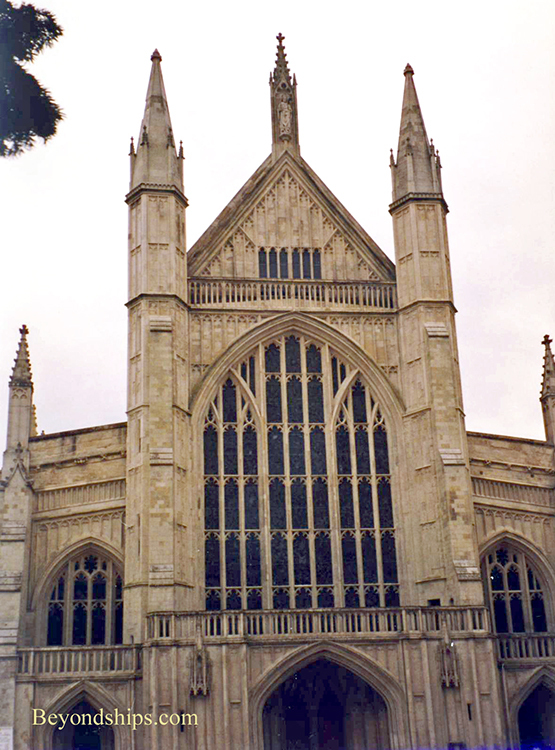 Winchester's most prominent landmark is Winchester Cathedral, which to the generation who grew up in the 1960s, is forever associated with the hit song of the same name. Of course, the cathedral had been famous for centuries before the New Vaudeville Band. It is one of the largest cathedrals in Europe and is the longest Gothic cathedral in Europe. Queen Mary I (“Bloody Mary”) wed King Phillip II of Spain (later of Spanish Armada fame) here. Numerous early English and Saxon kings are buried here as is the author Jane Austen. The cathedral was begun in 1079 to replace an earlier cathedral that dated from 642. When the new cathedral was consecrated in 1093, the remains of St. Swithun and various monarchs were moved in procession from the old cathedral to the new. The old cathedral was then dismantled. You can see the outline of the "Old Minster" on the ground next to the new cathedral. Over the centuries, the new cathedral has had some structural problems. In 1107, the original tower collapsed and had to be replaced. Flying buttresses were added to support the south wall in the early 20th century. Water has also been a problem. (Indeed, the crypt still floods each year). In Victorian times, the 13th century wooden foundation of the Retrochoir had rotted to such an extent that the cathedral was starting to subside. To remedy this, a deep sea diver named William Walker worked under water in the dark for seven years removing the old foundation and replacing it with cement. His helmet and a statue inside the cathedral pay tribute to this arduous task. Despite these problems, Winchester Cathedral is spectacular. Indeed, it is so much so that it was used as a stand-in for the Vatican in the film The Da Vinci Code. The interior soars upwards and a soft light comes through the stained glass windows. (Most of the stained glass was smashed during the English Civil War and reassembled in an abstract manner after the restoration of the monarchy). There is also interesting stone (e.g., Lierne vaulting) and wood work (e.g., 14th century choir stalls). 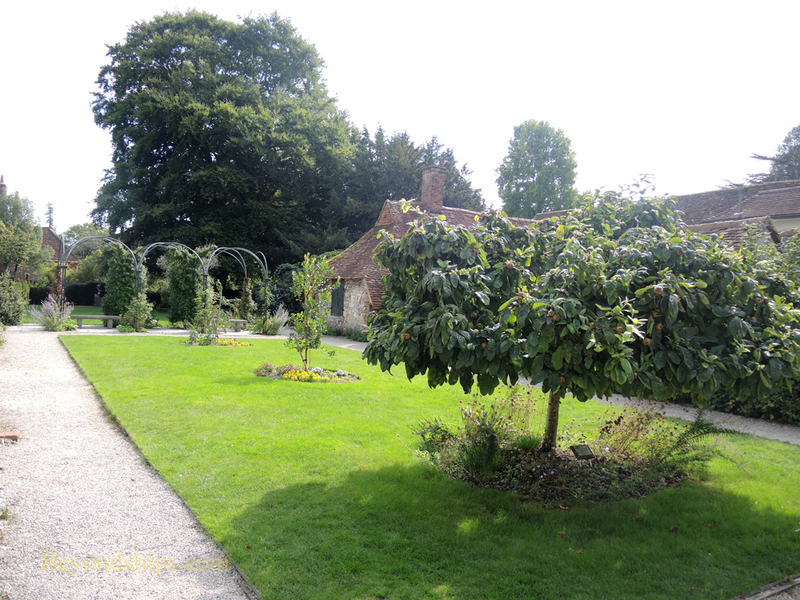 Outside in the spacious Cathedral Close, you have green space as well as historic buildings. 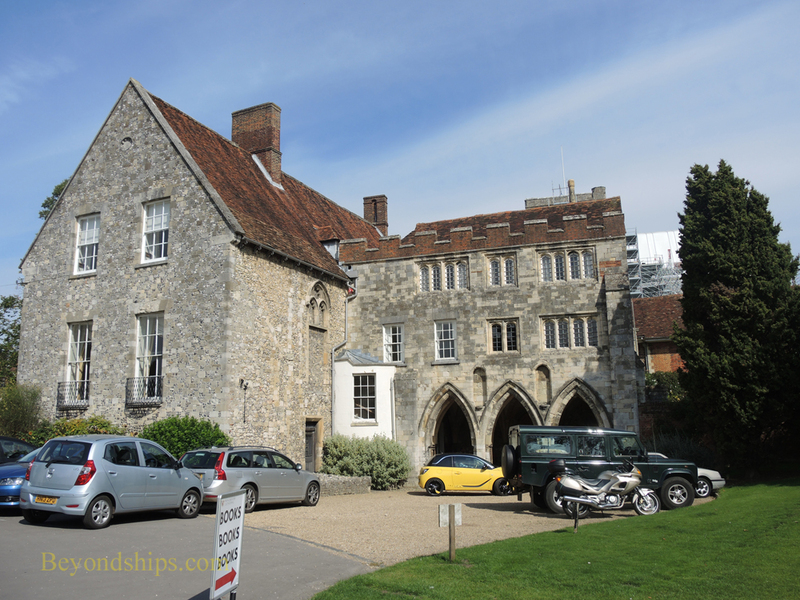 The Deanery was the residence of the Prior of the Priory of St. Swithun before the dissolution of the monasteries in 1539. 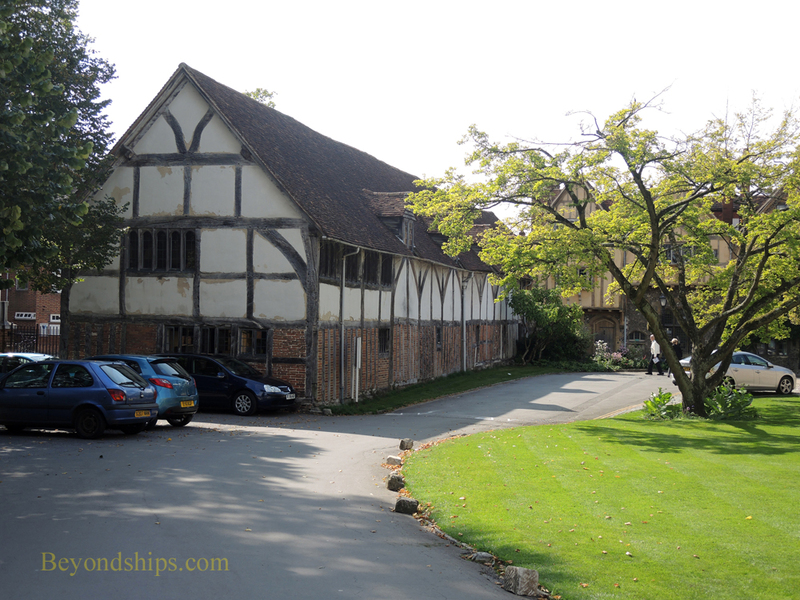 Henry VIII's elder brother Arthur was born here in 1486. Ironically, If Arthur had survived to become king, there probably would not have been a dissolution of the monasteries. Also in the close is the Pilgrim's School founded in the dark ages and still functioning. Its hall dates from 1310 and has a hammer beam ceiling. ​Cheyney Court has been described as the most photographed house in England. While there probably is no quantitative evidence to support that assertion, the house is quite pretty and a classic of Olde English style. It is a timber framed structure that was once the Bishop's courthouse. 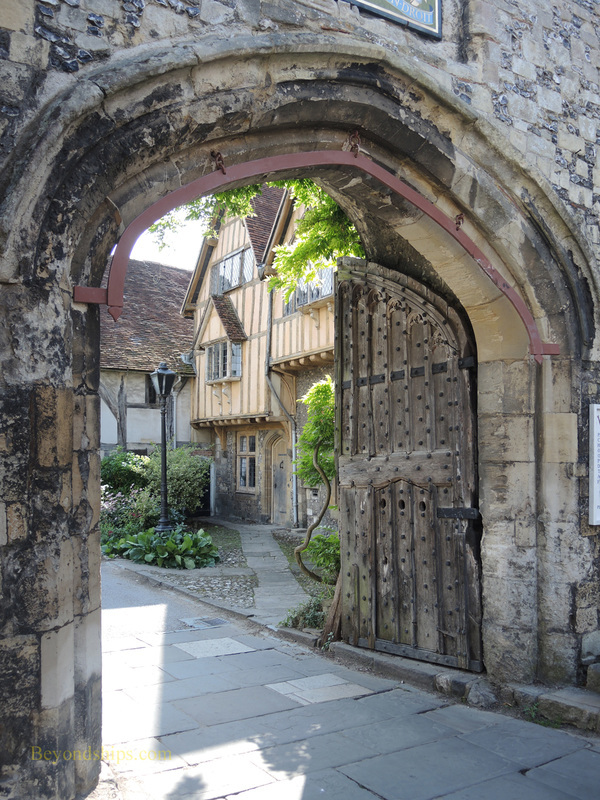 Next to it is St. Swithun's Gate, which pilgrims used to enter the close. Below: Pilgrim's School Old Hall. ​Below: Cheyney Court seen through St. Swithun's Gate.